Eye surgery, while once a tricky procedure that required working with microscopic structures, is now performed on a regular basis. 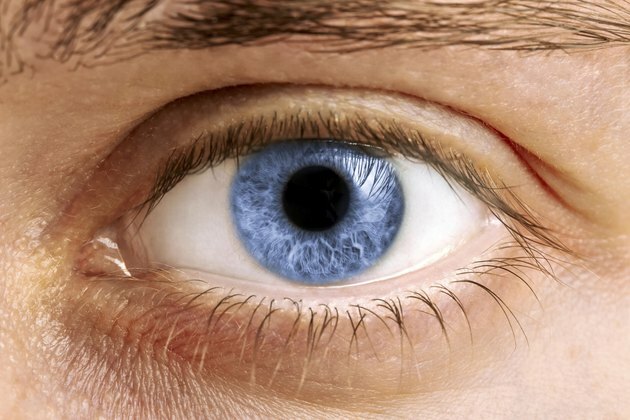 Eye surgery ranges from corrective procedures to vision-saving surgeries that correct cataracts, glaucoma or eye tumors. If you have eye surgery, a period of healing afterward is essential to allow the eyes to rest and to heal, and your doctor will give you instructions as to how to care for your eyes during this time. Some people choose to take supplements as part of the healing process following eye surgery, but always talk to your doctor before using a new herb or supplement. Supplements are created as vitamins, herbs, electrolyte mixtures or dietary substitutes that are available in a variety of preparations. You can typically buy supplements over the counter in forms such as extracts, capsules, liquids or powder. Because they are not classified as drugs, there are limitations as to how well supplements are regulated by the U.S. Food and Drug Administration. While supplements may help relieve some symptoms, they cannot claim to be cures for illnesses, nor should they be used as treatment in place of eye surgery. Vitamin supplements are available in various preparations. You may consider taking vitamin supplements to help the healing process following eye surgery. For example, vitamins C and E are types of antioxidants that work to promote wound healing. Vitamin K stimulates blood-clotting factors that are produced in the liver and may help to prevent complications from bleeding. Vitamin A impacts vision in that it creates a pigment known as visual purple, which is necessary to reduce night blindness. Additionally, vitamin A can delay blindness caused by retinal degeneration, and it speeds the process of wound healing. The healing process after eye surgery depends on the type of surgery that you have, as well as your doctor's instructions after treatment. Depending on your type of surgery, you may take herbal supplements to help control pain or to reduce swelling. For example, the herb known as bilberry may help the body create more rhodopsin, which is a type of chemical in the retina that helps the eye perceive light, according to the Foundation for the American Academy of Ophthalmology. Evening primrose and borage seed oil may help to reduce inflammation so the eye can heal following surgery. Some people avoid telling their physician about their use of supplements. Although herbal supplements and vitamin use is sometimes considered to be an alternative form of treatment to conventional medicine, your doctor should be aware of whatever supplements you may be taking to determine if they interact with other medications you may need. You can support the healing process after eye surgery by using supplements, but talk with your doctor about all medications necessary for your condition, rather than trying to treat your symptoms only with supplements.